With an elegant yet bold, inspired split spokes, Redbourne’s new Meridian Land Rover rims point to an adventurous character that evoke the mechanical sophistication of fine navigation instruments, perfectly in keeping with the Land Rover attitude of discovering the unknown. With an elegant yet bold, inspired split spokes, Redbourne’s new Meridian Land Rover rims point to an adventurous character that evoke the mechanical sophistication of fine navigation instruments, perfectly in keeping with the Land Rover attitude of discovering the unknown. We’ve chosen two stand apart finishes for these Range Rover rims that emphasize the design’s powerful lines: a radiantly shimmering gloss black, and a strikingly contrasting gloss black with a brilliant mirror cut face. Each is exceptionally durable, for long lasting good looks. 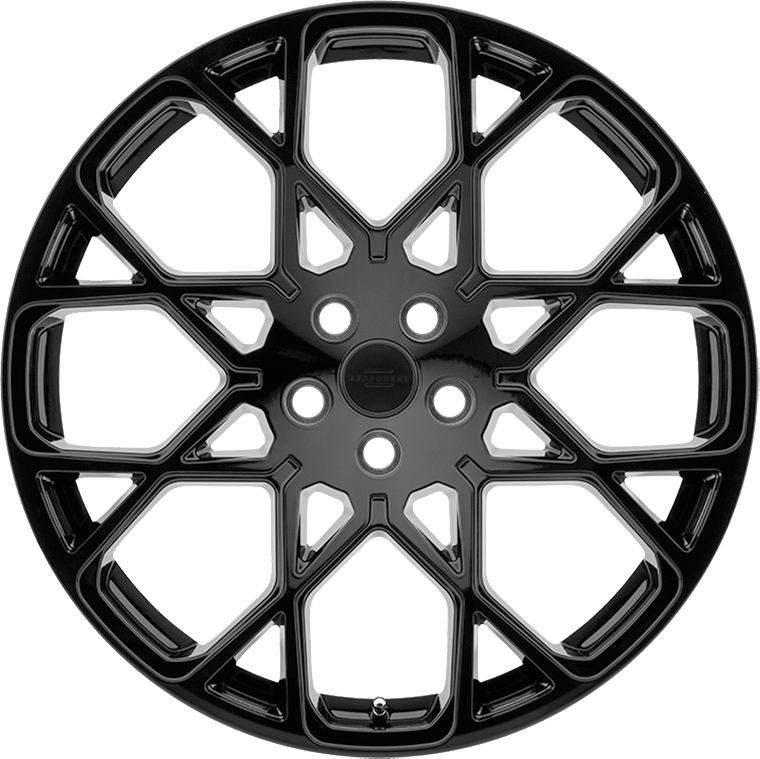 Like all Redbourne wheels, Meridian Range Rover wheels are engineered to carry heavy loads encountered highway driving. In fact, the Meridian cast monoblock alloy wheels are rated at 2300 lbs per, nearly five tons for a set of four. The wheels are hub centric for a velvety smooth ride and they accommodate redeployment of OE tyre pressure monitoring systems, lugs and LR logo center caps. And they are designed to accommodate oversized Brembo brake rotors common to Land Rover vehicles.